Few classics evoke the holiday spirit like the soaring melodies of Handel’s Messiah, especially when experienced live. 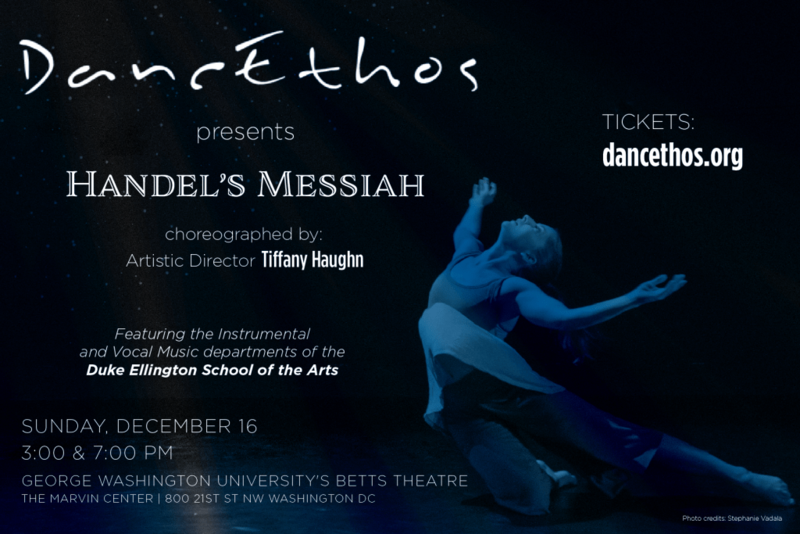 This holiday season, DancEthos invites you to enjoy this beloved masterpiece like never before—as the soundscape for an evening of modern dance, choreographed by Artistic Director Tiffany Haughn. Nearly fifty rising stars of the Instrumental and Vocal Music Departments of The Duke Ellington School of the Arts will lend their talents to a company of twelve “incredibly skilled dancers whose movement seems to come from the soul” (DC Metro Theater Arts2015).